Energy transformations results in a lot of wasted heat. 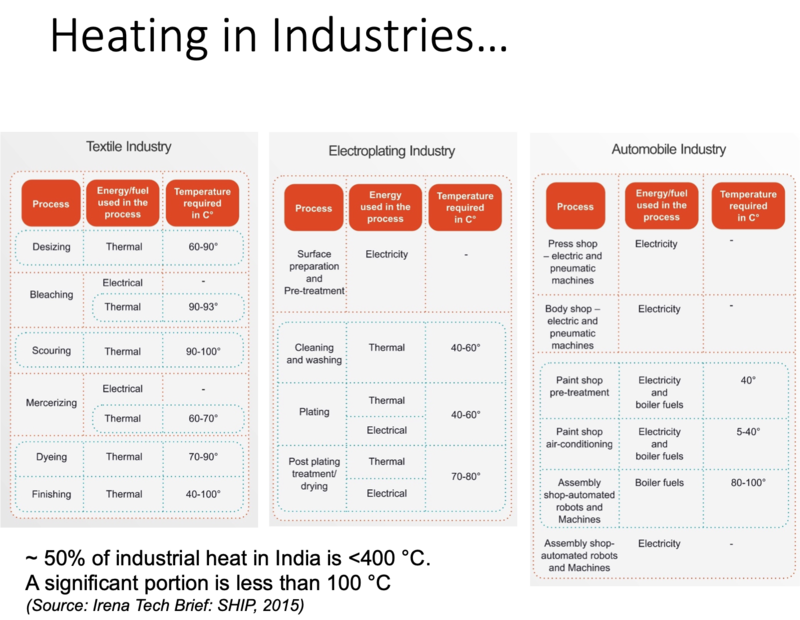 Examples include condenser heat in chiller units, cooling towers etc... Many times it is not possible to recover from these sources as they are very low grade. 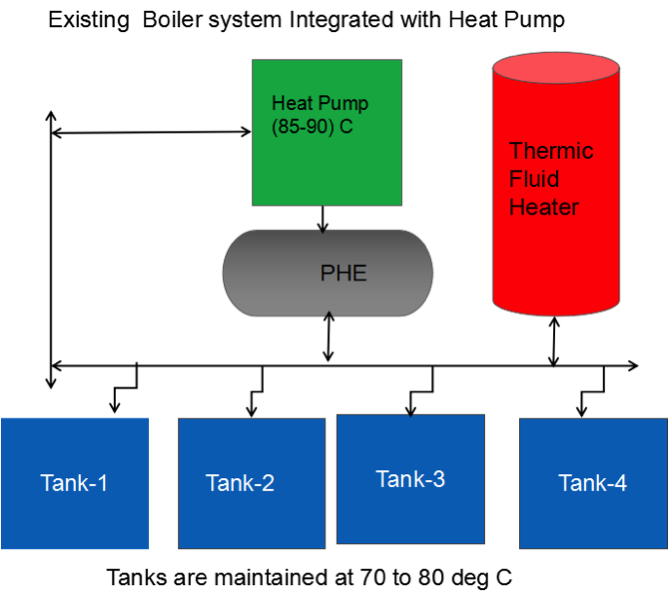 However heatpumps is a technology that allows us to recover and reuse the wasted heat by boosting the temperature level. 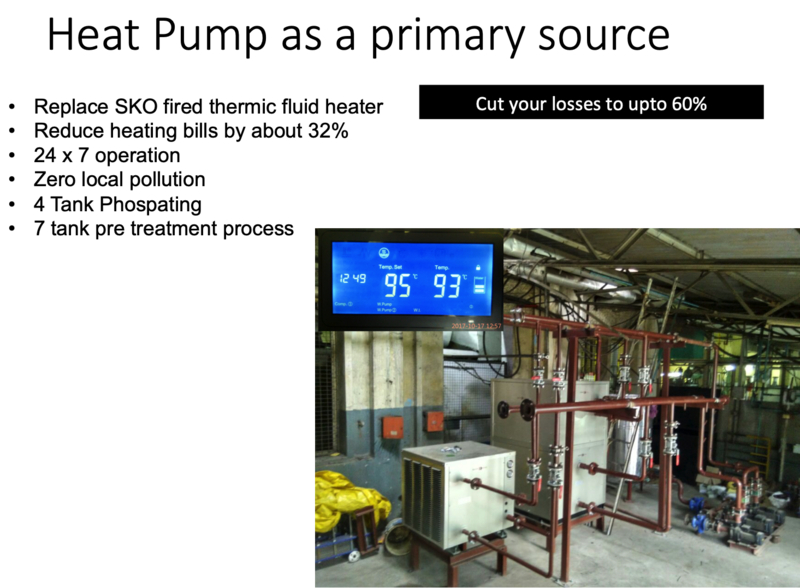 At Aspiration Energy, we have implemented India's first high temperature heat pumps at an auto component manufacturer to boost cooling tower waste heat from 35 C to 90 C and supply to phospating, and zinc plating pre-treatment lines. This change over eliminated the onsite kerosene fired boiler. The project was implemented on a PPA basis, where cost per unit of heat was Rs. 5.5 (<0.1 USD) it was reduced from Rs. 8.1. Overall size of the plant was over 200 kW, operating close to 8200 Hrs a year. The project has enabled the client get off boiler firing. The plant is located within Chennai city. Local emission avoidance goes a long way in co-habiting with the neighbouring communities. On the monetary front, the project has already started delivering bottom line benefits to the customer.